Early morning on the 28th of April, 1986, an alarm was raised at the Forsmark nuclear power plant in Sweden - high levels of radiation were detected. Employees that had not been in sensitive areas of the plant were failing routine radiation tests. A scan on one employee's shoes showed heavy contamination. Despite no indications of problems or malfunctions at Forsmark, the plant was evacuated. Within hours, the Swedish Radiation Safety Authority was receiving reports of high radiation at other plants. It was apparent that an accident had occurred somewhere - With winds coming from the southwest, it seemed that the likely culprit was the Soviet Union. 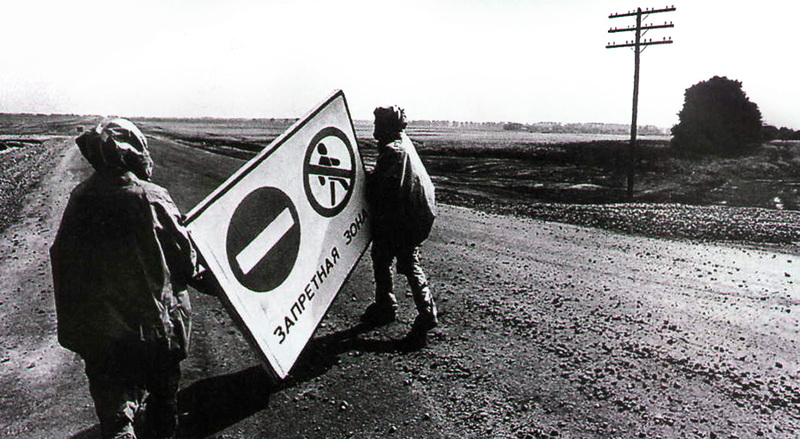 After initial denials, pressure from Sweden prompted the Soviet Union to finally admit there had been an accident at Chornobyl, in the Ukrainian SSR. With its closed, state-controlled media, the initial response to any disaster within the Soviet Union was to cover it up. With international scrutiny, however, it was readily apparent that this approach would not work. Initial reports were extremely sparse, but denied that a full meltdown had occurred. However, analysis of the radioactive discharge floating in the wind revealed particles of Ruthenium. With a high melting point of 4233°F, particles of Ruthenium in the wind meant that the reactor's temperature had gotten that high - an indication that a catastrophic accident had occurred. A helicopter hovers beside the destroyed fourth reactor of the Chornobyl Nuclear Power Plant. As reliable information slowly came out of the Soviet Union, a picture of the disaster gradually came into focus. On the 26th of April, workers on the night shift performed an ill-advised test on the fourth reactor that had been postponed from earlier in the day. Disabled safety systems, poor decisions, and a flawed reactor design combined in the worst way possible. A massive power spike when attempting an emergency shutdown of the reactor occurred, leading to several explosions. The reactor vessel's lid was blown off, and the graphite moderator from the reactor was exposed to the air, where it ignited. Graphite that had been expelled from the core during the explosion landed on the roof of the reactor buildings, starting fires there as well. Tragically, several young men received fatal doses of radiation while following orders to check the status of the reactor - despite seeing the destruction with their own eyes, plant management refused to believe that the worst had occurred. Several others were fatally irradiated in vain, attempting to feed water to the reactor. 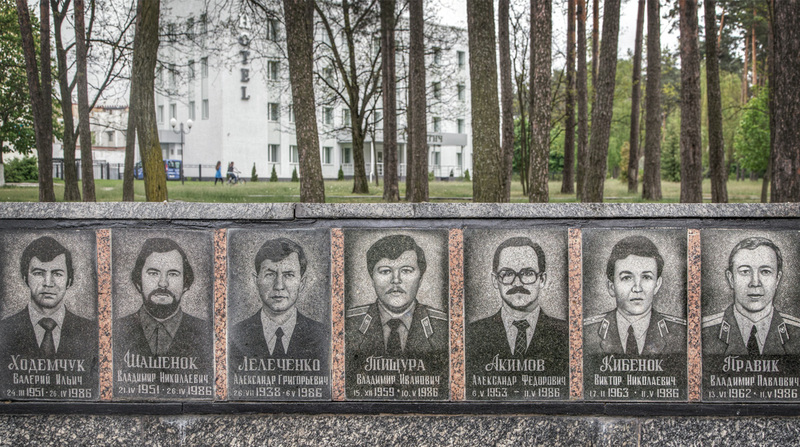 Firefighters from Chornobyl, Pripyat, and as far away as Kyiv were called to the plant to fight the fires on the roof. All of these fires were put out by 5 AM, protecting the other three reactors that were still operating. However, the fire in the reactor still burned intensely, and initial attempts to put it out did not work. Treating the reactor fire like a conventional fire was a mistake - when the water came in contact with the super hot graphite, it produced carbon monoxide, which fueled the flames instead of putting them out. The water that did not instantly evaporate due to the temperature flooded the basement, and increased the contamination of the site. All of this water had to be drained later on in a risky maneuver that cost three men their lives, all to prevent a further steam explosion that would have contaminated much of Europe with radioactive particles. The release of radioactivity from the fourth reactor continued for ten days, until May 5th. The burning reactor was plugged by dropping sand, clay, and lead from helicopters, and the ground underneath the reactor was frozen with nitrogen. It took a full six months to ultimately entomb the reactor with reinforced concrete, which was called a "sarcophagus." 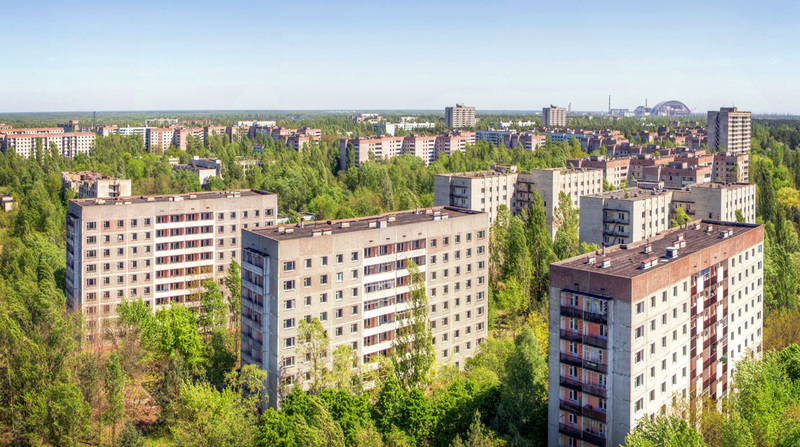 Evacuation of the city of Pripyat began at 2 PM on the 27th of April. Until that time, citizens had been carrying on with their normal business, unwittingly being exposed to radiation. Information about the danger was kept quiet, as to not start a panic. The evacuation of the city was announced as a short term measure, and people were instructed to take enough belongings for three days. Most would never see their homes again. Over the next weeks and months, further villages and towns were evacuated due to radioactive contamination. Over 200,000 people in total were evacuated from their homes, and over 150,000 square kilometers of land was deemed uninhabitable. 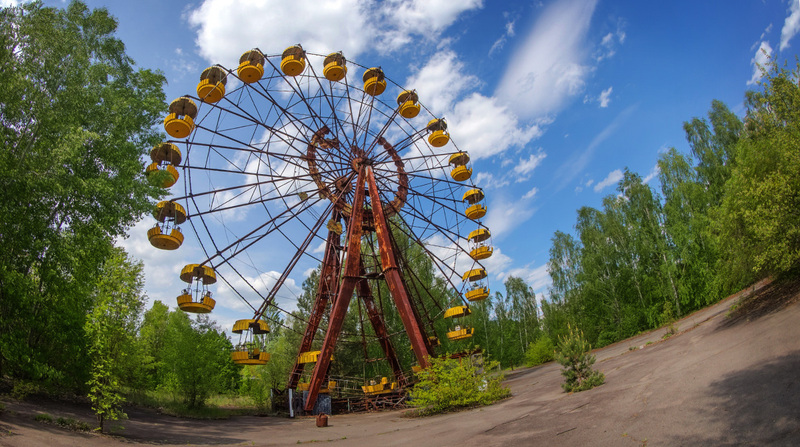 The city of Pripyat was not evacuated until the 27th of April. Little information was given to the citizens regarding the accident unfolding at the plant, but rumors were abound. Some, fearing the danger, evacuated in their own cars on the evening of the 26 and spread contaminants out of the city. 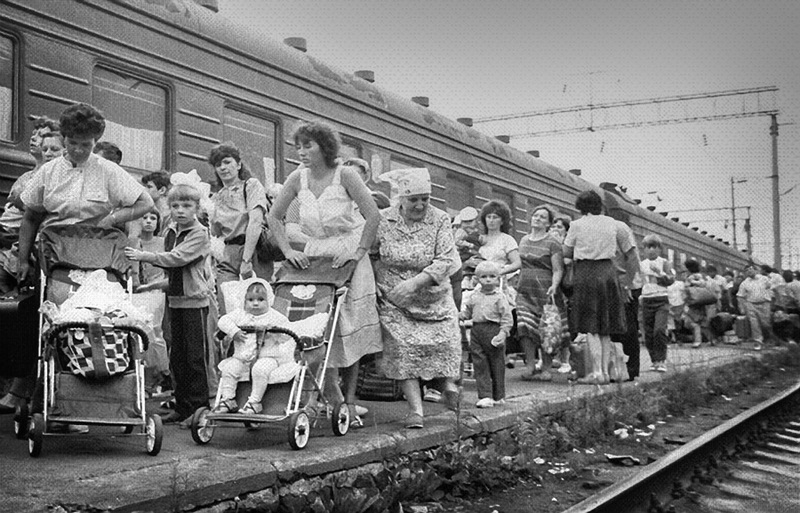 Some women and children evacuated from Yaniv station that evening on the Moscow to Khmelnitsky train Witnesses recall the platform being monitored by soldiers, but they seemed relatively calm and unaware of the danger.